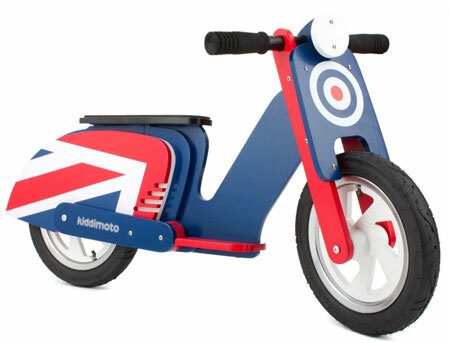 If you have a budding Bradley Wiggins in the family, you might want to get them kitted out with one of these Kiddimoto scooter bikes. The Children’s section of the Ralph Lauren website is a genuine joy to behold. It’s essentially a sized-down selection of items from the standard Ralph range, including this Ralph Lauren boys Fair Isle v-neck sweater. The name of the designer is synonymous with a bygone space age era, but Eero Aarnio is still out there making interesting design, with the Eero Aarnio Pingy for Magis being just one example.